I have an addiction. Don't judge me. How do I even begin to describe my love of Cherry Coke Zero? Should I start at the beginning, the first time I discovered this glorious, calorie-free concoction perched on a shelf, chilling away in a 20-ounce bottle, waiting for me to release it from the frozen confines of the Walgreens grocery aisle and into the cup holder of my Corolla? Or do I start at the end, with the above picture, the result of a months-long addiction to fake sugary sweetness that can only be treated with MORE aforementioned fake sugary sweetness, especially when it is on sale at my friendly neighborhood Kroger? It wasn’t always like this. I was a Diet Coke fan for years. A cold, caffeinated beverage without the calories? Yes, please. Back then, I didn’t know any better. I didn’t know that something else, something even more delicious, was out there. My infatuation with Diet Coke began to wane last year. The drink had gone from refreshing to flat. I needed something to wake up my taste buds, minus the guilt of the calories. Then I found Coke Zero, endorsed by friends, but not as readily available as my old stand-by soft drink. I tasted Coke Zero, poured from a restaurant fountain spigot into an eager paper cup, and it set my mouth on fire — in a good way. There was just so much more flavor than its diet cousin. The fizz tickled my throat and left behind a lingering sweetness that confirmed that I was on to something. Then I saw that bottle in Walgreens, the word “cherry” splashed across a Coke Zero label for which my eyes had learned to automatically search. Once it hit the lips, Cherry Coke Zero had me, for lack of a better word, sprung. I wanted it. I needed it. And it’s hard to come by, a slight obstacle that only added to the beverage’s allure. 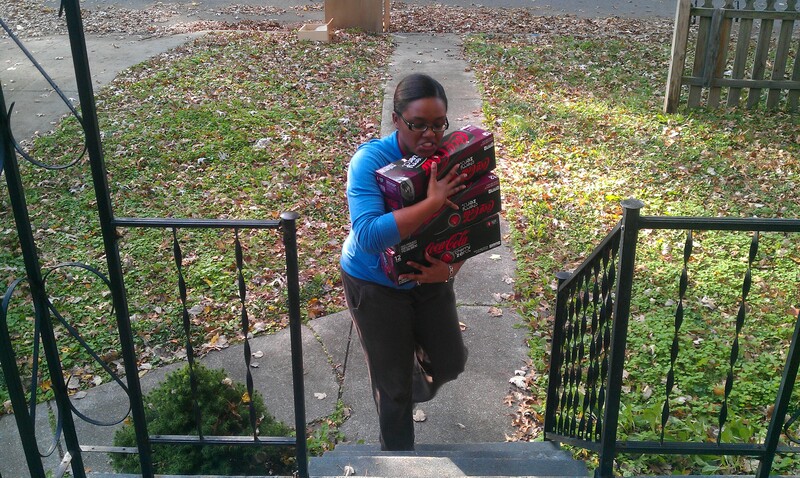 I scoured Kroger after Kroger to find my own supply of Cherry Coke Zero, which I how I ended up lugging three cases into my home after a three for $11 deal I happened upon one week. Having my own Cherry Coke Zero instead of just keeping my fingers crossed that it will be available in vending machines and restaurants has only made my infatuation worse. Just a couple of weeks ago, I may (or may not!) have bought FOUR cases during another Kroger sale. I blocked several shoppers in the soft drink aisle as I stuffed the cartons of Cherry Coke Zero into my tiny cart. Is all this embarassing to admit, all this admiration for an inanimate object, a beverage no less? Is it worth it, for just one can of Cherry Coke Zero? I too have a CCZ addict for about a year now. Coke Zero was the gateway drug. I just bought six fridge 12 packs, and for some reason this batch tastes sweeter. Is it my imagination or did they change the formula recently?